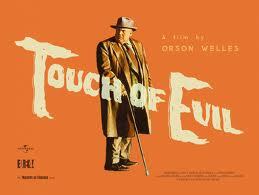 A Touch of Evil – Orson Welles – It begins with a swooping long shot, over a darkened cityscape, and ends in a shadow creeping, ‘more noir than thou,’ double crossing climax. 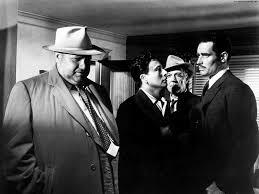 Orson Welles’ tale of police corruption and kidnap feels ‘packed’ – both in tone and narrative, comparable to one of the film’s many cramped rooms in which a babble of detectives argue and exchange quips. 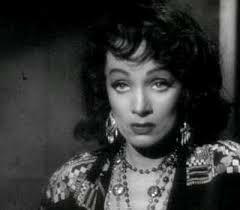 Marlene Dietrich appears as a beguiling, slightly gypsy/slightly ‘queen bee of some unseen brothel’ character, named ‘Tanya’. 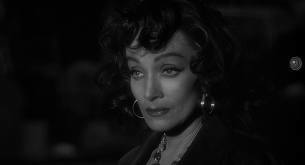 Each of her, always too brief, scenes becomes manipulated by an effortless intensity and drama - courtesy of her uniquely seductive ability to portray infinite mystery and smouldering enigma with any and all eye contact. A breath-taking, scene-stealing, glance-mongering she-beast of voodoo glamour! 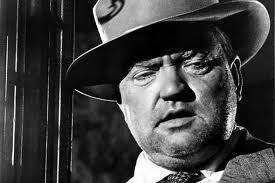 As she welcomes the swaying Orson Wells (as an evident regular in her questionable bar) and the two screen giants share a scene, the film seems momentarily inflected with a noir enveloped ‘beauty and the beast’ scenario, brimming with damaged magic. 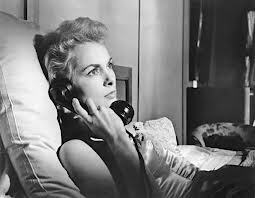 Janet Leigh plays the role of blonde damsel in distress, shown in casual states of undress and attacked in an ominous motel; altogether providing an uncanny and pre-emptive rehearsal for her, more famous, shower bound turn in Psycho two years later. 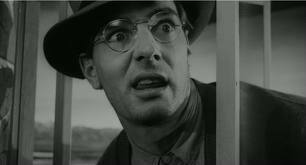 Definitely also worthy of a mention is Dennis Weaver as the ‘night-manager’, who appears like some sort of Shakespearean clown amidst the shadows. However, like the trajectory of Orson Welles’ character, the night-manager makes a swift transition from slapstick nerves, to a more deranged anxiety (marking the same path of comedy to tragedy) – in a way which reflects the film’s sliding tone, from its early playful and humorous energy into something less clear, less comfortable: sliding off the barstool and sloping into the same bitter delirium that Welles’ character embodies with such frightening force.